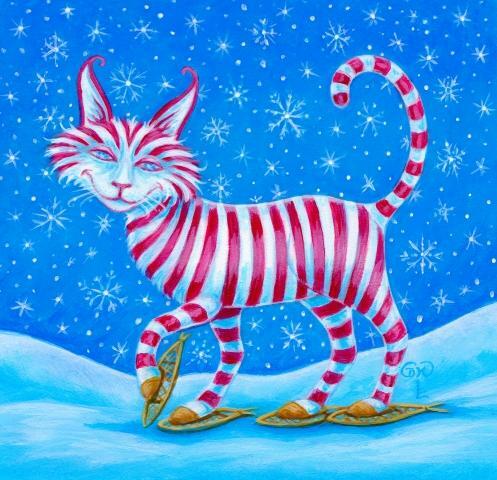 'Candy Cane Cat', 2014. 3.5x3.5". Acrylic on paper. You can view Galleries but some features are disabled!